Lawyers and judges say a new court set to open in Manitoba specifically for people with fetal alcohol spectrum disorder could be a game changer. 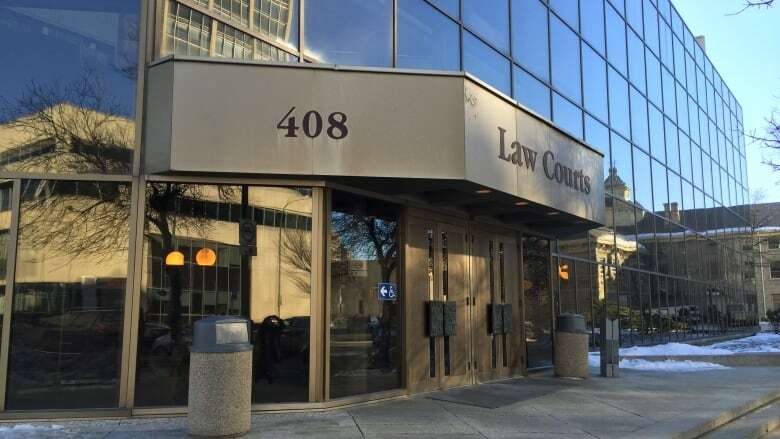 "If you have somebody who can't read, can't write, physically cannot connect cause and effect, there has to be a way to address a sentence that they will understand," said Winnipeg defence lawyer Lori Van Dongen. "That is just common sense." Van Dongen said people with the disorder are often set up by the justice system to fail. The legal world has been slow to adapt to their challenges — whether it's bail conditions they can't adhere to or a list they are unable to read, she said. When a fetus is exposed to alcohol it can cause brain injury and the impacts range from mild to severe. Only some people show physical signs, but most people with the disorder see and understand the world differently. They struggle to understand the consequences of their behaviour and many are impulsive. They follow others easily and have drug or alcohol problems. Without the proper support they often end up in front of a judge and behind bars. It's not known how many people in Canada have the disorder, because it can go undetected and is difficult to diagnose. But Health Canada says it's the leading known cause of preventable developmental disability in the country. Research suggests that up to one-quarter of inmates in federal corrections facilities could have the disorder. A 2011 study out of Stony Mountain Institution in Manitoba found the rate was 10 times greater in the federal prison than in the general population. Mary Kate Harvie, a Manitoba provincial court judge, said it was clear a long time ago that changes had to be made so people with the condition could be treated fairly in the legal world. In 2004, she was involved in creating a program that helps young people get a diagnosis and connects them to community supports. It also gives lawyers and judges more information about issues an accused offender might have because of the disorder. The program has had more than 1,200 referrals, has done more than 400 assessments and helped get almost 300 kids diagnosed. Harvie said the Manitoba Court of Appeal has made it clear that a sentencing judge should consider how challenges faced by someone with fetal alcohol spectrum disorder can be linked to their criminal behaviour. "If people are not showing up to court because they have short-term memory loss, that's a big difference from someone who is just blowing court off." Administrative charges have filled courts, remand centres and prisons with offenders who break curfew or miss a meeting with their parole officer because they struggle with the concept of time, Harvie said. "We are hoping this project will start to address a number of aspects of that." The court, which is expected to open at the end of February and sit one day a week, is an extension of the original youth program. It will have judges with an understanding about the complexities of the disorder as well as support workers to advise and connect sufferers with community programs. It will also help obtain a medical diagnosis for anyone who shows signs of having the brain injury — although the wait continues to be long. There will be a smaller, quieter courtroom with fewer distractions and visual images will be used to make sure offenders understand what's going on. Defence lawyer Wendy Martin White said she is optimistic that the new court will help her clients and hopes it will divert people from jails and toward community supports. "This is a really good move for our courts, for our province, for our clients," she said. "I'm looking forward to seeing where it's going to be in a year's time and then in five years' time." Audrey McFarlane, executive director of Canada FASD Research Network, suggests it's time for a national strategy. "Right now all the provinces and territories do what they think is best and ... they are trying really hard, but Canada needs to also provide additional support, guidance and leadership," she said. "Canada, as a whole, has put in very few resources to address FASD."